Key speaker Vernon Coaker, Shadow Secretary of State NI, praised the expertise of Northern Ireland firms and commercial collaborations which are taking local talent on to the world stage. 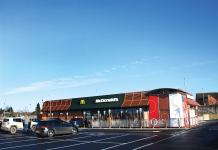 Oliver Colvile MP, Chair of the APPG on Excellence in the Built Environment, said that businesses like Hamilton Architects had a key role to play in informing future planning, design and building strategies. The event, at the home of the Institution of Mechanical Engineers at One Birdcage Walk, was co-hosted by Gavin Robinson MP and Alasdair McDonnell MP. 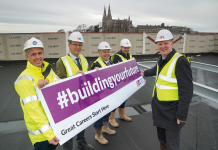 A large contingent from The London Irish Construction Network also attended, along with representatives of the capital’s housing associations and councils. Guests also heard from guest speaker, Rory Olcayto, Director of Open-City, London’s leading architecture education organisation, who addressed the theme Design for Living: Building a 21st Century Society. 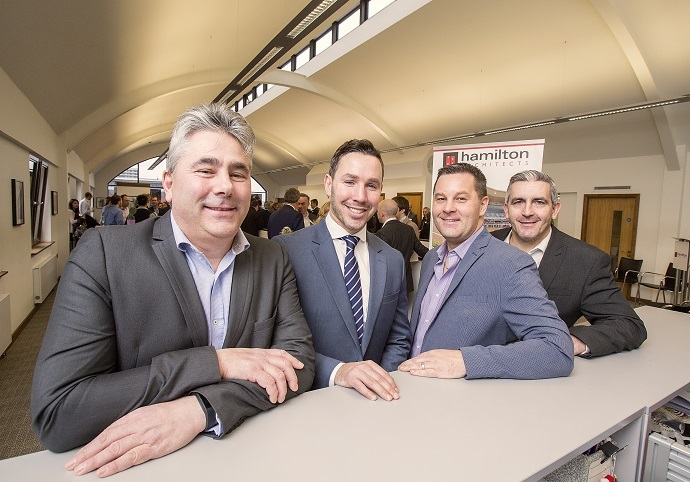 Mark Haslett, Hamilton’s lead Partner for the event, said, “Attracting such a high profile audience demonstrates that Northern Ireland talent like ours can still punch way above its weight in a competitive environment like London. 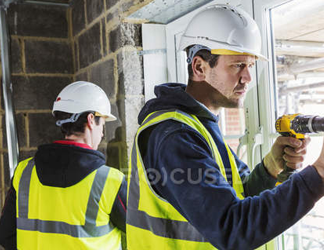 Hamilton, who have already clinched a contract to provide social housing for Ealing Council, announced a strong start to 2016 by winning £30m of contracts in the education sector. 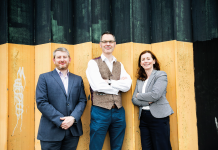 At this month’s RICS Awards, Mark and fellow Partners Seamus McCloskey and Paul Millar picked up accolades for the SERC SPACE Building in Bangor and Seaview Hall at Glenarm. 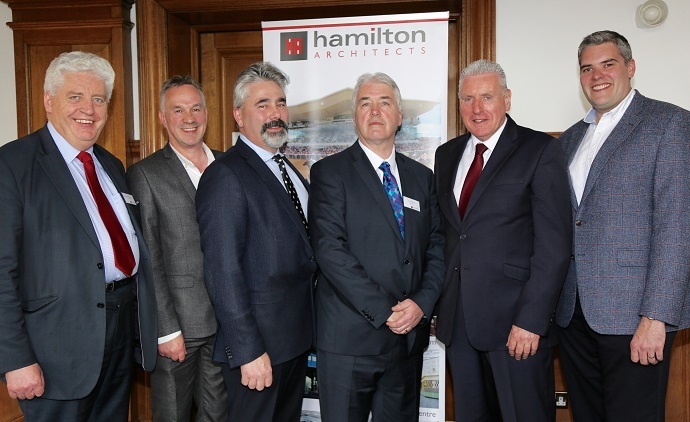 Hamilton are the design brains behind headline projects like the new National Stadium for NI (Windsor Park), Kingspan Stadium, Dundalk Race Course, Riddel Hall, Crumlin Road Gaol Visitors Centre, Ulster Museum, Mersey Ferry Terminal and greyhound stadiums in Cork and Dundalk.